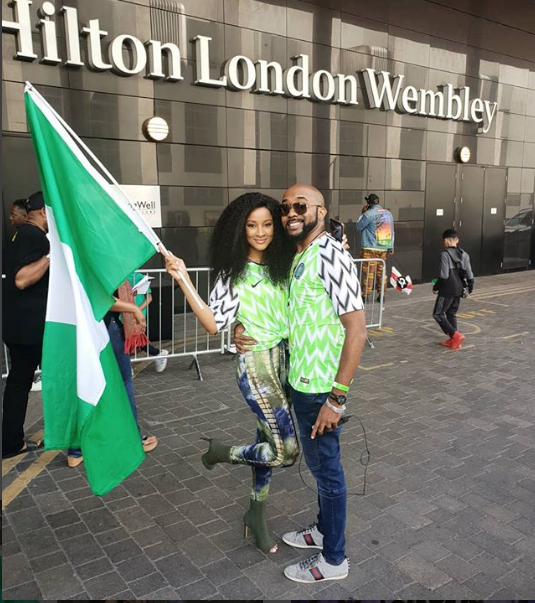 Nigerian power couple, Bank W and Adesua Etomi are presently in London an about to watch the Super Eagles vs England friendly. 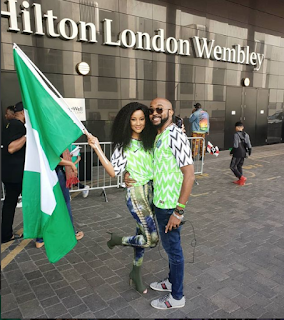 The couple repped Nigeria in their matching Nigerian Super Eagles Jerseys. Bank revealed they got them thanks to Mikel Obi and Wizkid. PS: Susu wore a jumpsuit, but as soon as I got a 2nd jersey, she decided to throw her jersey on top, as per Naija pride. Pls fashion police, we know it does not match but we don’t care. U get the fashion, we get the jersey.